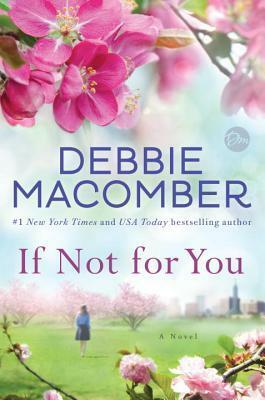 Debbie Macomber pulls at our heartstrings with this latest book in her New Beginning series! If you read either of the previous books in the series, you’ll be sure to recognize Nichole who is the BFF of the heroine of this one. It was fun to catch up on how she and Rocco are doing and hearing a little about Owen, Leanne & Nicolai! 🙂 I enjoyed the characters and the plot for the most part, but found it a little difficult to connect with them as a whole. There were however several sub-plots that added a lot to the overall book. Beth Prudhomme was at her wits end with her overbearing mother, so she up and moved from her home in Chicago to Portland, Oregon where her beloved Aunt Sunshine lived. It was exhilarating for her to finally be on her own to find the job of her dreams teaching music to high schoolers, and enjoying living however she wanted to. When her fellow teacher and friend Nichole wants to set her up with a friend of her husband’s, she’s leary, but she agrees to go. Mechanic Sam Carney isn’t the type of guy she’d ever take home to her mother. He’s long haired and tattooed and cusses like a sailor. They are both quick to realize they aren’t interested in each other and beat a hasty retreat as soon as dinner is over, but a chance accident at the corner changes their lives in ways they never could have imagined! Sam is the first on the scene after she’s hit by a car that ran the red light, and he keeps her calm and stays by her side until help arrives. He goes to the hospital with her and finds himself returning every day while she recovers. The connection they felt at the accident scene and the hours they spend visiting draws them closer and eventually into a relationship. Will they each be able to overcome their own issues and pasts in order to make a future together?